Bookings for this event have closed and no tickets be available on the door. Apologies for any disappointment. 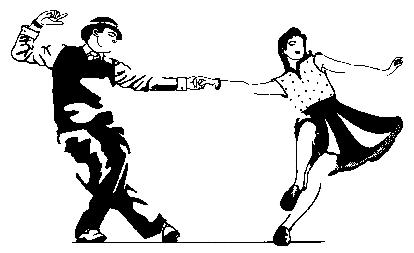 Booking & event details for Sunday Tea Dance, 17th December 2017. Please scroll down for more info. Online bookings close at 11.45pm on December 16th 2017, the eve of event. Tickets are available on the door at £10 per person, subject to availability. We are expecting plenty of tickets will be available on the door but encourage advanced bookings to avoid disappointment and also to save you money. See venue address and other info further down this page and additional info elsewhere on this site. We encourage ladies who haven’t booked in advanced to bring a gentleman if possible with them to help with gender balance. This is only a request and we will do our best to welcome you If you come alone and hope you have a lovely time :). Venue: Free Church Hall, Northway, London NW11 6PB. Timings: Doors open at 2.15pm. Class: Beginner/Ice-Breaker Class starts at 2.45pm, finishes circa 3.30pm. Fun Modern Jive Freestyle dance (partnered dancing for men and women) from about 3.30pm. Tea, coffee and light snacks served from c.4pm. Cost in advance: Book online for £9.60 per couple (man and woman - this price is discounted to help gender balance). * Single men & single women can book online for £7.97 each. On the door: Tickets available on a first come, first served basis at £10 per head (please bring correct cash to save us time if you can).